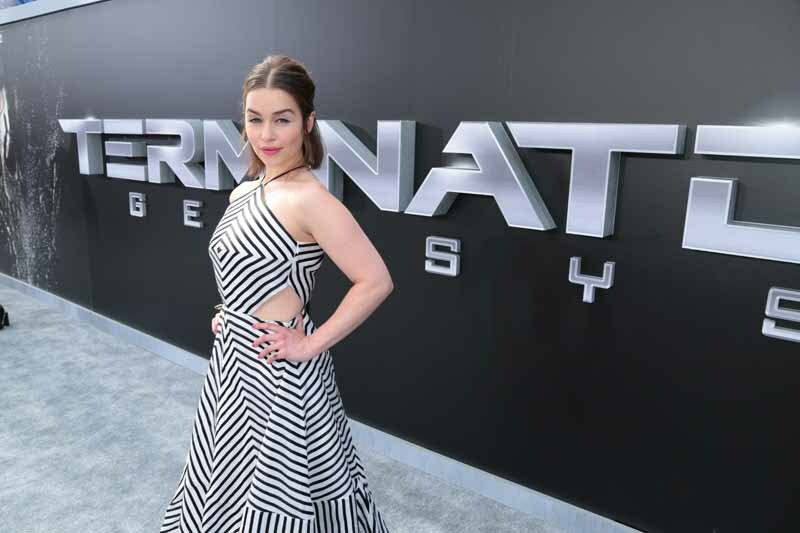 There’s nothing like a movie premiere to bring out the stars and the sci-fi/fantasy movie “Alita: Battle Angel” did just that. Rosa Salazar who plays the titular character in the film “Alita: Battle Angel” rocked the blue carpet with a blue sequined gown by Sonia Rykiel at the movie’s premiere held at the Odeon Leicester Square in Luxe Cinema on Thursday (January 31) in London, England. Meanwhile, Dua Lipa who performed the official song for the movie slayed the blue carpet with the fierce style of a Giorgio Armani Privé voile bustier dress with ribbons embroidered with black crystals.